Tarte had some absolutely amazing gifts sets out for the holiday season - most of which sold out in a blink. 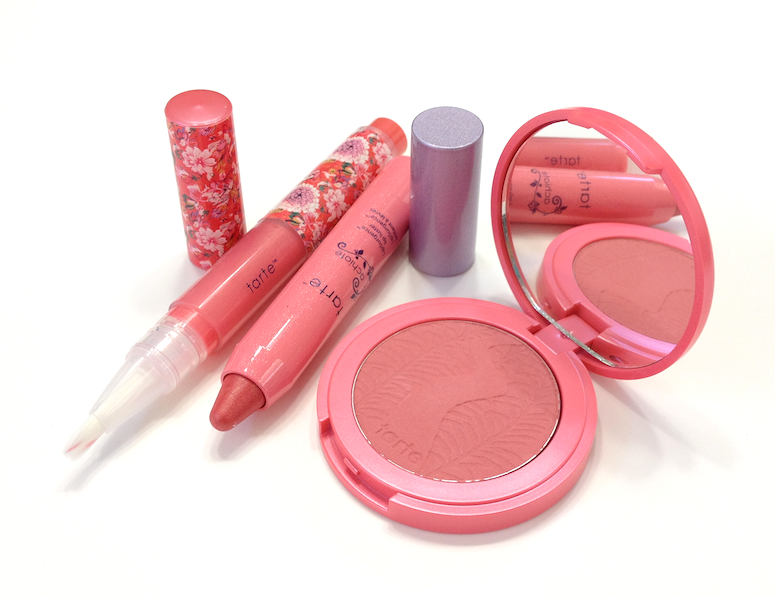 Thankfully, the Achiote Color Collection is still available, both on the Tarte website, and at Sephora. The magic ingredient in this set is a pigment derived from the seeds of the Achiote tree native to Brazil. 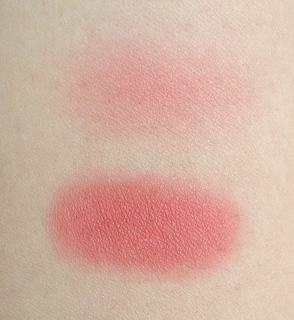 I don't know what colour these natural pigments are, but as interpreted by Tarte, Achiote is a an absolutely gorgeous, deep coral pink that is exclusive to this set. Put that together with the top-notch Amazonian Clay blush formula and I was sold. For a coral-lover like me, it takes a lot to be knocked back. 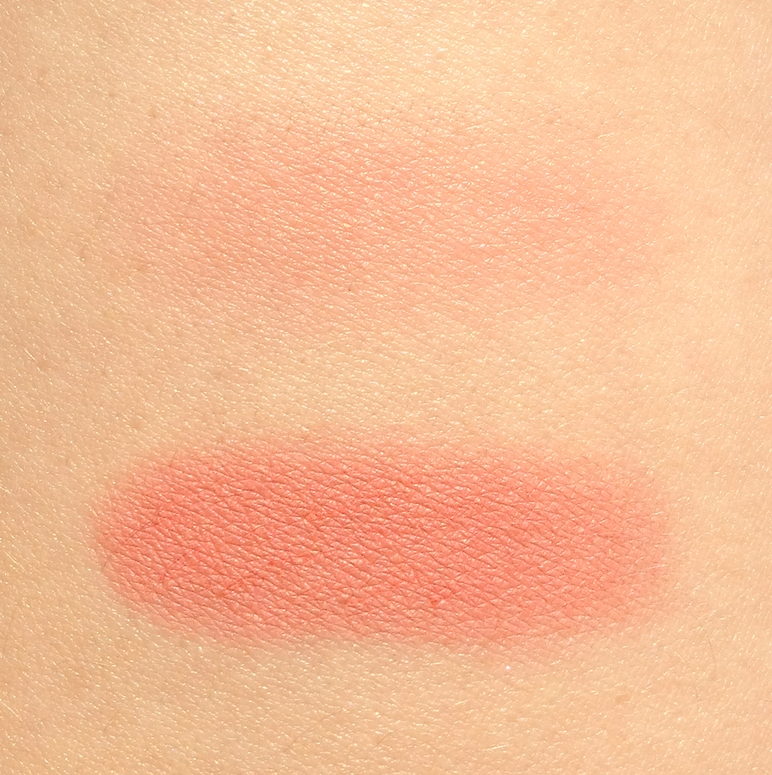 I have enough coral blushes to stack up to my hip, but I was hard-pressed to find one that matched this beauty on all counts: colour, texture, and wear. I would have gotten this set for the blush alone, but the lip products are lovely as well. 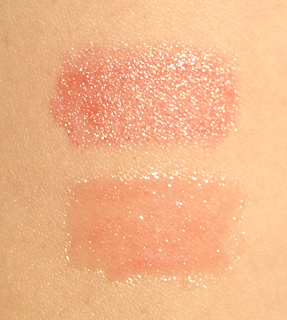 The LipSurgence Lip Luster is at the top, the Maracuja Lip Gloss is at the bottom. The Lip Luster is great - a nice, slightly shimmery warm pink that deepens my natural lip colour and feels nicely hydrating. With its glossier texture, it won't make it past a meal, but it's so easy to apply that this is hardly a bother. 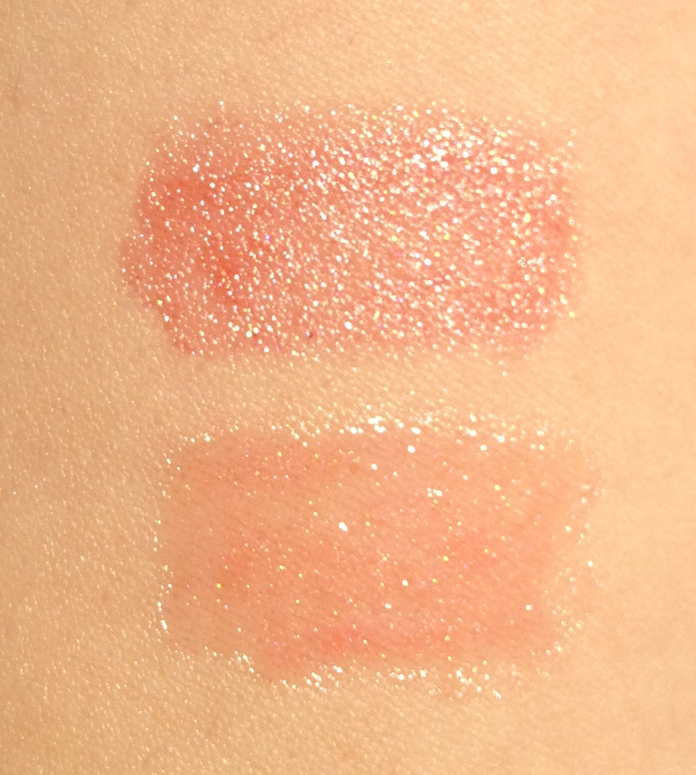 The Maracuja Lip Gloss is more sheer, adding the smallest hint of pink and shine to my relatively pigmented lips. 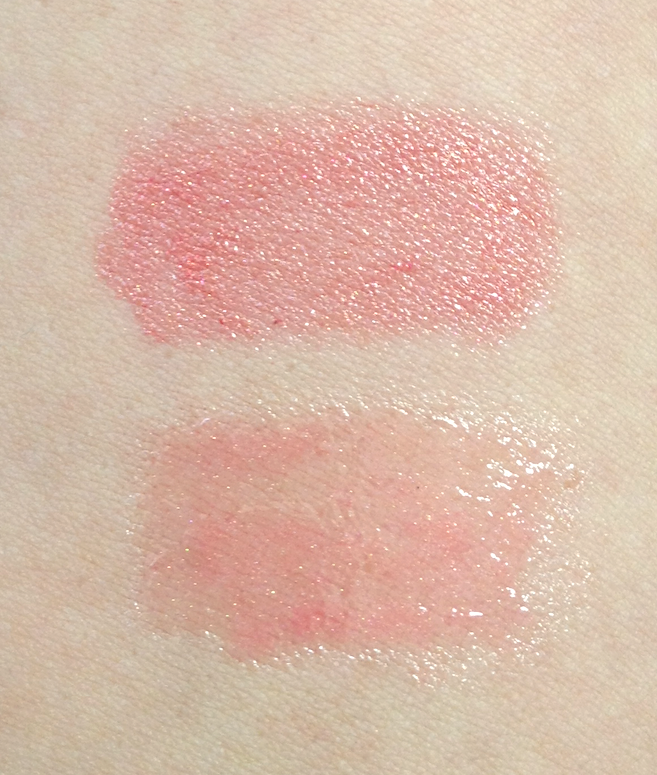 If you've ever tried the Stila Lip Glazes, this will feel very similar - sticky, but lighter. 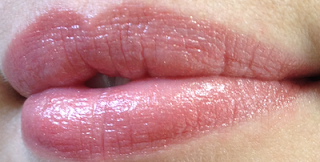 Though the colour payoff is minimal, this gloss does wear longer than the average. It is also scented with mint, which I enjoy. (Hey, combine that with a breath mint, and you can almost feel smoochable after a pasta supper.) I'm also not sure if this is due to the mint oil, but I feel like this did have a slight plumping effect on my lips, so...bonus? Availability: 42$ USD on the Tarte website, and 54$ CAD at Sephora. 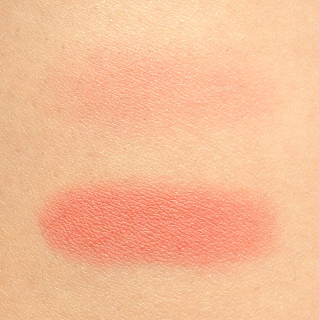 Pros: The blush is amazing - stunning color, incredible and workable payoff, long-wear, faultless texture. 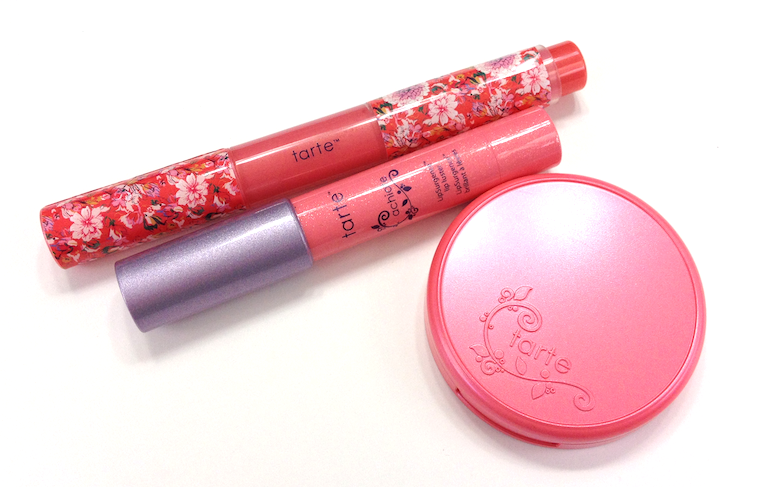 The Lip Luster is a no-fuss, flattering shade that hydrates as it wears. 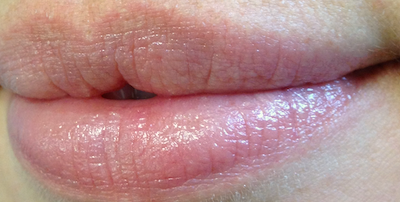 Cons: The sticky texture and ultra-sheer colour of the Maracuja Lip Gloss may not be everyone's pleasure. Pretty! Love Tarte blushes. Great review! For what it's worth, lanolin is a problem for me as well - though not an allergy so much as a sensitivity, and I don't have a problem with these. Granted, I don't wear them exclusively.